When you are heading to buy a locker what are the aspects that you take into consideration? The budget, the number of locker units, the material used, the place where it will be installed are some of the points that would be considered before investing in a locker. How about emphasizing the locker color? Yes, choosing the right color should also be a mandatory requirement for your locker selection process. Today, let me walk you through the importance and significance of choosing a locker with the right color. Colors have the power to influence an individual’s mood, either positively or negatively. Having said this, when you choose a color for the lockers you significantly add up to the entire ambiance. Are you still in your thoughts as to which colored locker would prove to be the best when it comes to giving them a place of their own? Here are a few color options along with their significance and how they affect the ambiance. Have a look at them to make your decisions fruitful in nature. Fresh, funky and bubbling with confidence- that’s what an orange color does. Orange colored lockers would not only look bright, but would immensely contribute to creating an environment that is bubbling with energy. Being a bright color it also contributes in making a room look bigger. 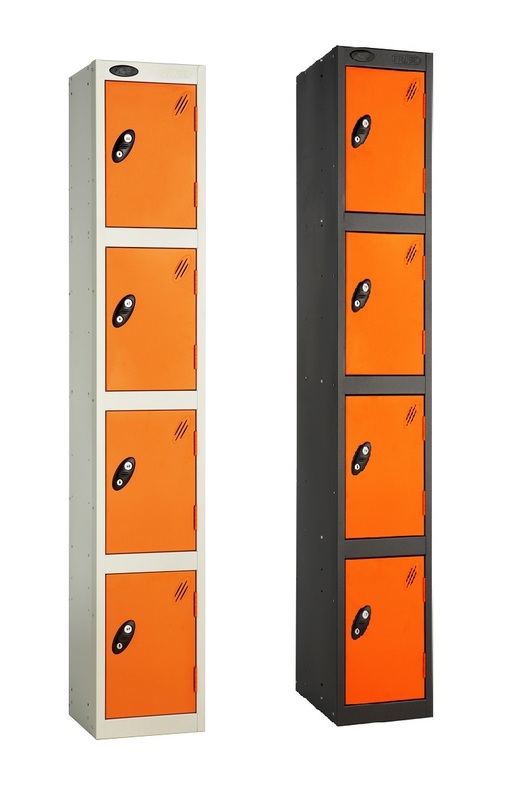 You can use orange colored lockers in primary and pre-primary schools, the activity area of your organization, sports club and many such places that demands liveliness. A color that brings in emotional stability could be best preferred in offices, library, leisure activity areas, bedrooms and also healthcare centers. Blue is considered to be a color that motivates and hence should find a place in schools and offices that demands motivation. Green, the color of nature, is very soothing to the eyes. Apart from the calming properties it also brings in a bout of freshness along with maintaining a definite level of energy in the surroundings. A green colored locker could perfectly find its place of abode in all possible surroundings. Be it in an organization or healthcare centers or a sports club- this color will never be a drawback. Being a bright color, lemon colored lockers could best be used in school premises, sports activity clubs, cloakrooms and also in offices that focus on the creativity factor. It plays an important role in bringing clarity to thoughts and increasing focus along with accelerating optimism in the air. Go for a locker with a lemon color that very well magnifies the beauty of the furniture. Lilac colored locker profoundly gives a rich and sophisticated look to the surroundings where it is placed. Spas and leisure activity places and even a library can make way for a lilac colored locker that gives an expensive look to the environment. Silver-grey color brings in a profound sense of elegance. A more dapper and formal look – that’s what you get when you have a locker painted in silver-grey color. A locker with the silver-grey door can be installed in corporates as well as places that do not require a huge chunk of positive or vibrant energy. Black often refers to negativity or shallow energy, but when used cleverly it can be used to uplift and enhance the mood of the surrounding. Moderate use of black or the different shades of black can bring in a sense of sophistication to the decor. Hence, black color need not be completely neglected nor should it be completely used for the lockers. Just the right quantity and you ace up the beauty of your locker. Being a symbol of purity and comfort, white is used immensely in places that demand calmness. A white locker can be used in healthcare centers and spas and all such places that give importance to purity and freshness. Also, take care that you do not overload the room with this neutral color as it might pull out the best possible awareness in town. Apart from the above-mentioned colors, you could also stumble upon colors such as red, pink, cream and many more that could be produced by adjusting the tones and shades. The color of the locker plays an important in enriching the energies of a room. You can also indulge in choosing more than one color, making the surroundings colorful. Next time when you head down to choose a locker do not miss out on picking the most vibrant and lively color for the locker. Also, choose colors that beautifully blend in with the surroundings. This entry was posted on Monday, April 9th, 2018 at 6:22 am	and is filed under Lockers. You can follow any comments to this entry through the RSS 2.0 feed. You can leave a comment, or trackback from your own site.